Beginning in the late 1950s political leaders in Venezuela built what they celebrated as Latin America’s most stable democracy. But outside the staid halls of power, in the gritty barrios of a rapidly urbanizing country, another politics was rising—unruly, contentious, and clamoring for inclusion. Based on years of archival and ethnographic research in Venezuela’s largest public housing community, Barrio Rising delivers the first in-depth history of urban popular politics before the Bolivarian Revolution, providing crucial context for understanding the democracy that emerged during the presidency of Hugo Chávez. In the mid-1950s, a military government bent on modernizing Venezuela razed dozens of slums in the heart of the capital Caracas, replacing them with massive buildings to house the city’s working poor. The project remained unfinished when the dictatorship fell on January 23, 1958, and in a matter of days city residents illegally occupied thousands of apartments, squatted on green spaces, and renamed the neighborhood to honor the emerging democracy: the 23 de Enero (January 23). During the next thirty years, through eviction efforts, guerrilla conflict, state violence, internal strife, and official neglect, inhabitants of el veintitrés learned to use their strategic location and symbolic tie to the promise of democracy in order to demand a better life. Granting legitimacy to the state through the vote but protesting its failings with violent street actions when necessary, they laid the foundation for an expansive understanding of democracy—both radical and electoral—whose features still resonate today. 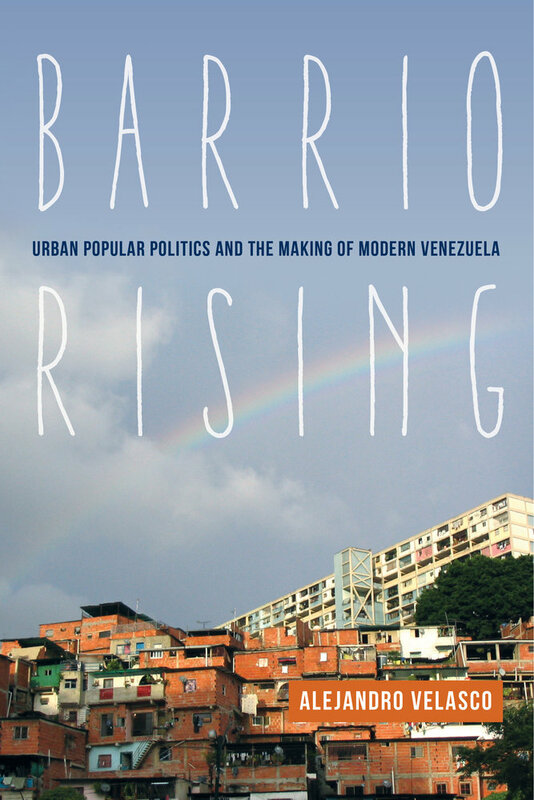 Blending rich narrative accounts with incisive analyses of urban space, politics, and everyday life, Barrio Rising offers a sweeping reinterpretation of modern Venezuelan history as seen not by its leaders but by residents of one of the country’s most distinctive popular neighborhoods.